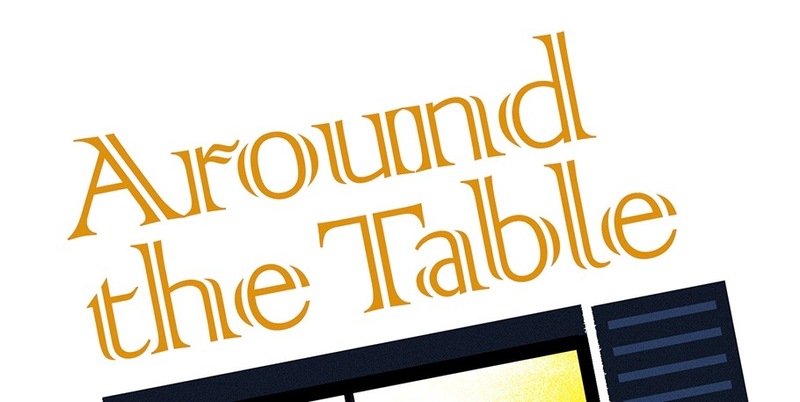 Around the Table Book: National De-Lurking Week! Three years ago I started a on a venture called blogging. When I studied communications in college and even before that in high school when I read regular columns in the paper, I thought I would love to have a "column" in a magazine where I could write about things that I considered important or interested me. Although I sold some articles to magazines over the years, I never had the opportunity to write on a regular basis. There were too many other important things going on in my life to pursue it, things like mothering and missionarying. Besides, although I have always loved to write, I never wanted to write with out a purpose, without being able to inspire people to live more closely to the life to which God was calling them. That meant I needed a reason to write. That reason came about unexpectedly. I certainly didn't plan it. But it was exactly the kind of topic I wanted--one that I had truly lived out, that I felt strongly about, that I believed was biblical, and that is important. So I've been writing about family mealtimes. I've included ideas for getting young children and teenager to talk to you, and the benefits all that talking has when the kids are adults. I've written about Mom and Dad talking to each other regularly and on special occasions. I've suggested creative devotion ideas. And holiday devotion ideas, for Easter and for Christmas. And devotion ideas for everyday. I've posted all kinds of recipes and menus. And every once in a while I go off topic. You know, I see that I get some people reading my blog, but I wonder if it interests them, if it helps them, if they are inspired at all by it. Because inspiration to have a meal with your family is my goal! I'm glad you read my blog, but what I'd like is if you would tell me once in a while that you appreciated an idea or thought, that you tried a recipe (even if I left an ingredient out), or if you disagree with me or have a better idea. This week is National De-Lurking week for blogs. That means that we bloggers want you to comment on our blog. So please take the time to write a line or two about why you read my blog and what you get out of it. Then you will inspire me! Wow! Rachel, thank you so much. I'm so glad you eat together and that I have inspired you to continue even if the meal isn't Martha Stewart approved. I can promise you that that many times over the 27 years I had children at home eating dinner together every night there were times I wondered if it was worth it and if they, or any of us, would survive to tell the story! But they were loving it...they just didn't know it yet! Sharon, I do enjoy reading your blog. I believe in the purpose behind your efforts and I try to encourage others to read it also. It is sometimes easier to read and not comment. I am sorry I have not been better at encouraging you! I think that just by writing this as you did, you speak for most of us bloggers, that wonder the same thing. I am relatively new to your blog, so in all honesty I can't tell you that much, what I can say is that based on this post you seem like a very inspiring person and I will definitely be reading other featured post that you may have. And I will leave you with this thought: "While always wondering what you have expressed here, always stay true to yourself".